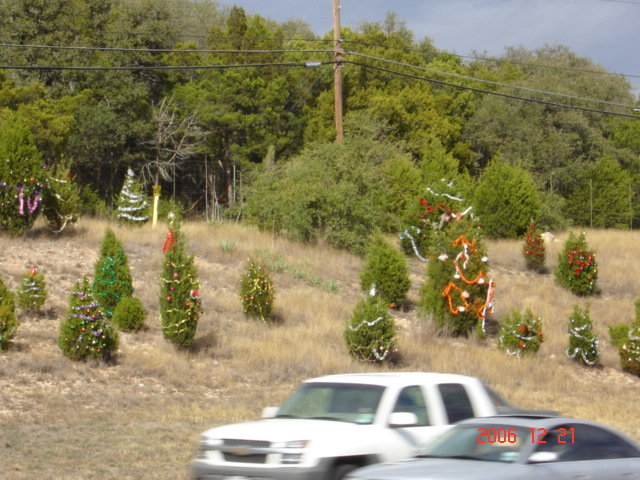 I was driving down the Capital of Texas Highway (360) and I looked over and there was a flock of trees on my left that someone or some group had taken the time to decorate for Christmas. 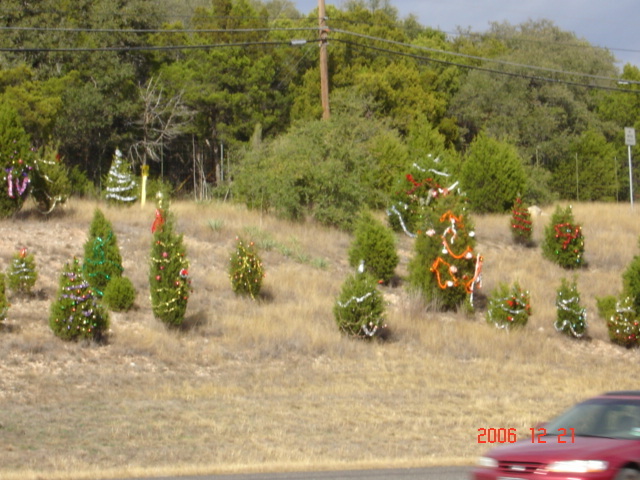 It was very strange to see all of these trees with their 70’s style garland and ornaments on the side of the road. 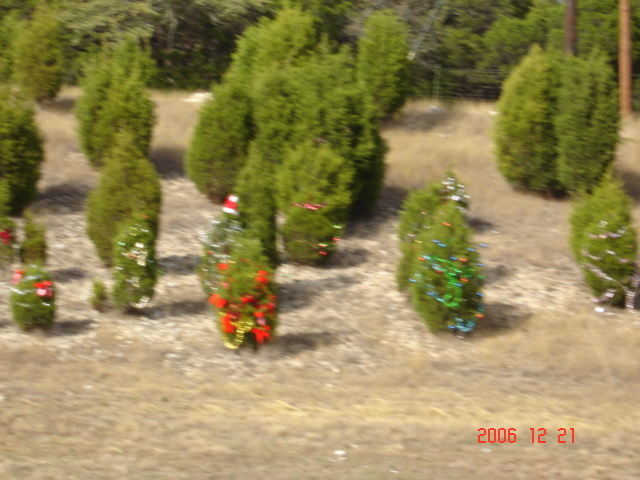 Who does this?